The iPhone 4 GorillaMobile is the latest bendy mobile from Joby and as usual we are one of the first sellers to have them in stock. The new GorillaMobile iPhone 4 tripod is the successor to the GorillaMobile for iPhone 3G/3GS and has an entirely new design. 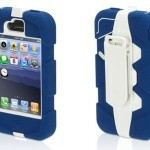 The bumper case design shapes the form of the iPhone protecting it in your pocket or on-the-go. It is equipped with a sleek rail system that easily slides on and off the tripod stand. Simply slide the case onto the flexible tripod and according to your preference it can stand in Portrait or Landscape orientation, making it the most adaptable positioning stand. On top of that, due to Joby’s innovative tripod design you can wrap it around a tree on your hike to capture the landscape and you. It can be a really good friend for FaceTime calls or to help you watch your favourite show. This tripod will let you get the best out of your 5-megapixels, HD video and retina display that come with your iPhone 4. JOBY unlocks the potential of photography, Video and other rich media on the iPhone 4. JOBY, the world-renowned designer of the best-selling Gorillapod™ line of innovative camera tripods has launched a powerful tool for the creative iPhone 4 user. Following the success of the Gorillamobile for iPhone 3G/3GS released in 2009, the new Gorillamobile has been entirely redesigned to take full advantage of the rich media features of the iPhone 4, including the front-facing camera, camera flash, HD video and retina display. The Gorillamobile for iPhone 4 has been selected for an International CES Innovations 2011 Design and Engineering Award in the Wireless Handsets Accessories category. The Gorillamobile for iPhone 4 combines the protection of a durable, always-on bumper case with the hands-free positioning capabilities of a JOBY tripod. The bumper case design celebrates the sleek form of the iPhone and is equipped with a rail system that easily slides on and off the tripod stand in portrait or landscape orientation. No matter what position the iPhone and tripod achieve, the bumper case design ensures that both cameras and the flash are ready for brilliant shooting. The flexible, wrappable legs and rubber grip rings inspire creative perspectives for time-lapse photos, steady video recording, easy film-viewing on the plane or comfortable FaceTime calls without losing circulation in your fingers. In addition to the launch of the Gorillamobile for iPhone 4, JOBY will be expanding the Gorillamobile family with two new iPad products this January. Staying true to its distinctive, user-driven research methodology, the company explored the distinct ways that users have been integrating the iPad into their lifestyles. This research uncovered a series of powerful insights that have culminated in two truly iconic iPad accessories that enhance a diverse set of usage scenarios in a multiple environments unlike anything else on the market. Following on the success of its popular Gorillacam photo app, JOBY will launch a new photography app specifically designed to take full advantage of iPhone 4 capabilities including the ability to make quick and easy time-lapse videos. The new photography app will launch in advance of the holidays. 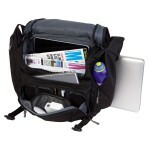 JOBY will launch the two Gorillamobile for iPad products at CES 2011 in Las Vegas. Please visit us at CES unveiled on Tuesday January 4th to learn more. The Gorillamobile for iPhone4JOBY unlocks the potential of photography, Video and other rich media on the iPhone 4.